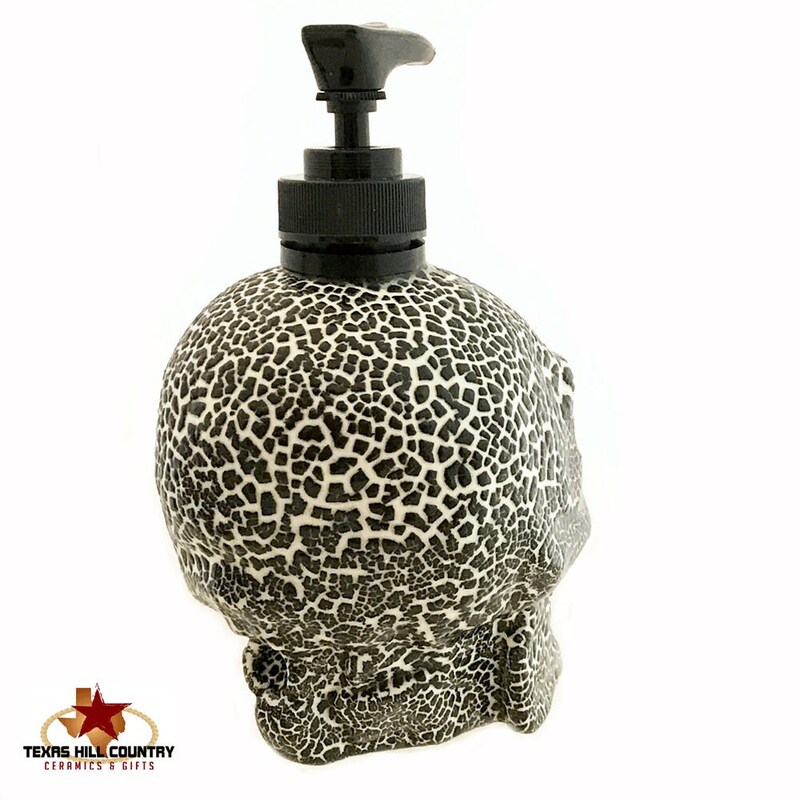 This black and white textured skull is designed to be used as a soap pump dispenser, it will hold soap or lotion on any bath vanity or kitchen counter. 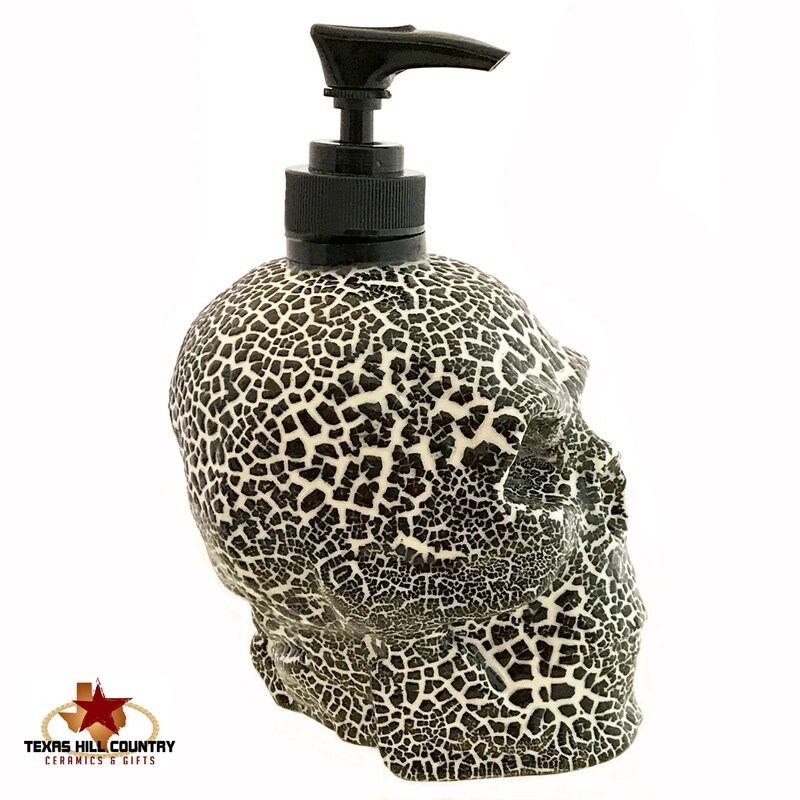 This skull has an unusual finish, it is textured and uneven similar to cobblestone, the background is black with white texture. It is part of my skull ware collection I have created, it is a great accent piece for Halloween, horror, zombie decor or haunted house Friday the 13th celebrations. 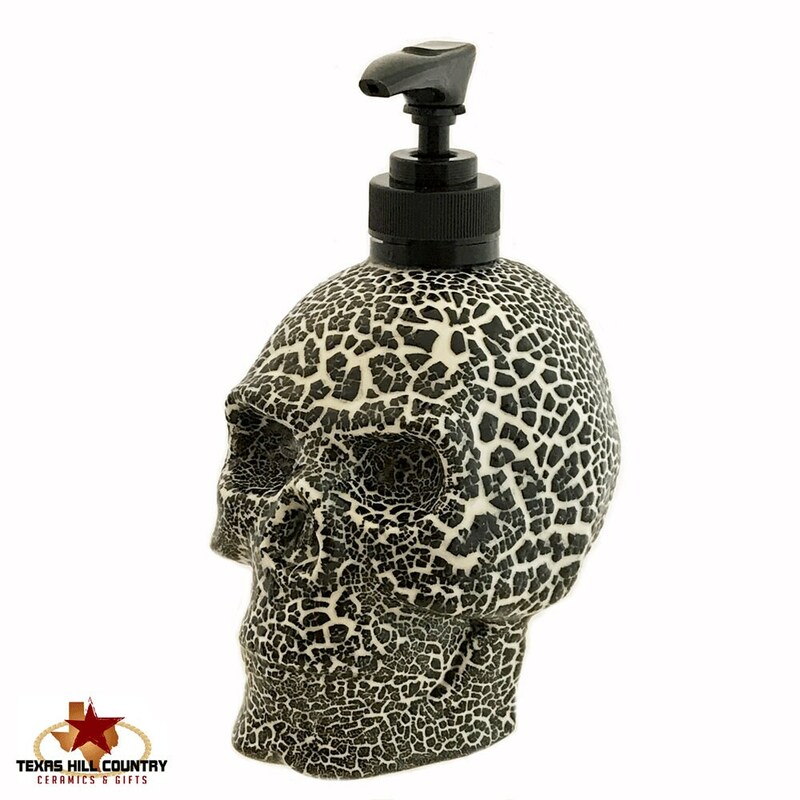 Ceramic skulls are ideal for adding a little creepiness to any area of the home or office, ideal for men's bath vanity. The texture varies on each surface and the one you receive will have its own distinctive look, no two are ever alike. 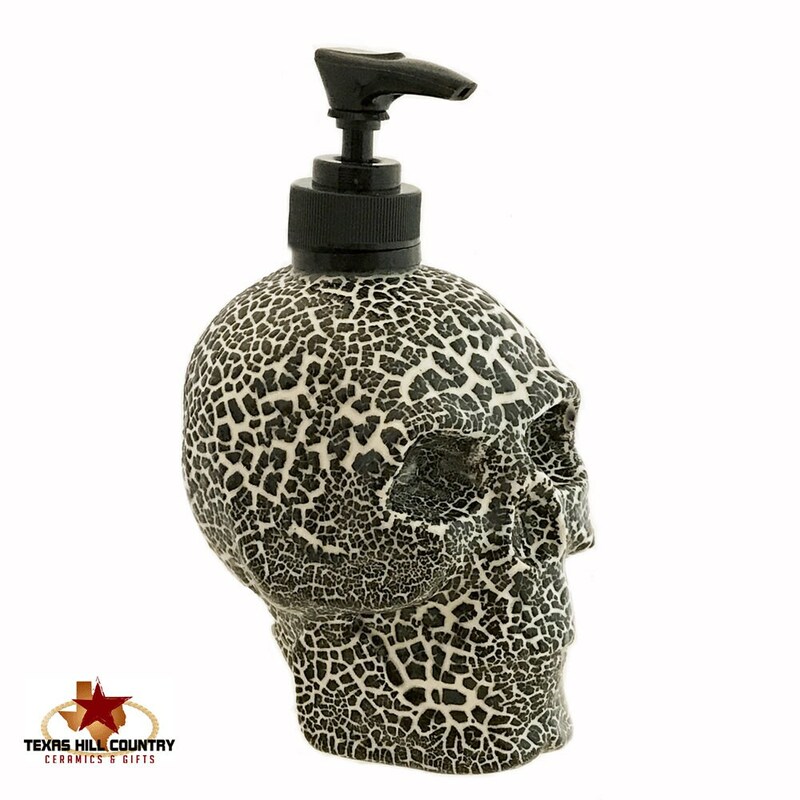 This skull is Made to Order, please see processing time in the Shipping Section. 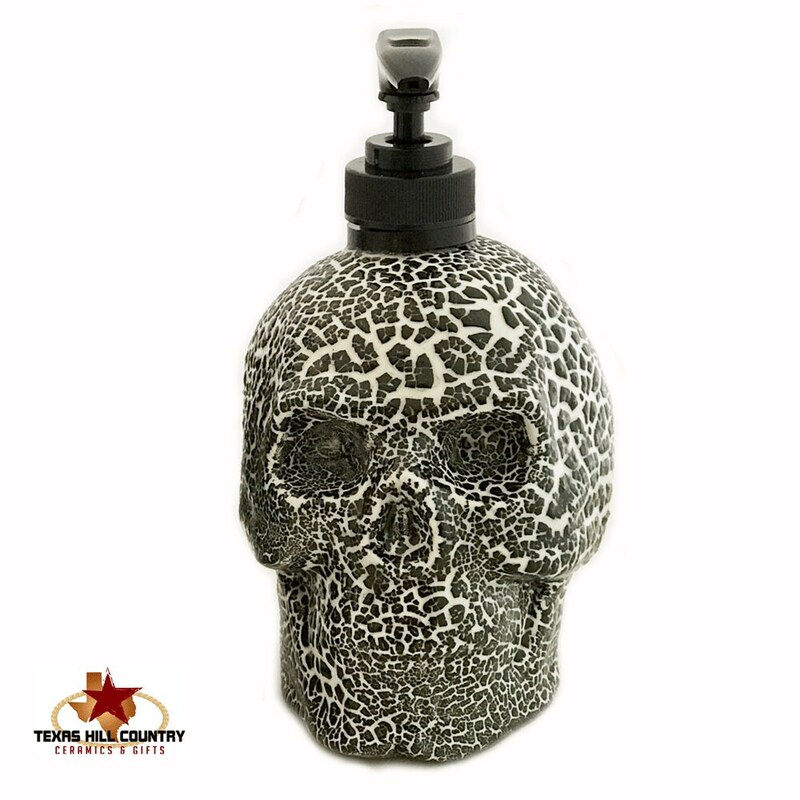 The skull pump dispenser is made of kiln fired ceramics, the glaze is lead free, the skull is also glazed inside sealing the entire piece for added life. If you have a dispenser that 'weeps' it is because the dispenser is not properly finished on the inside.